Today’s quarter finals were one of the most exciting matches where results of all four were uncertain throughout their procession. The Indian boys who had great chance to confirm medal, missed that only because of two wrong shots and paid huge penalty as elimination. 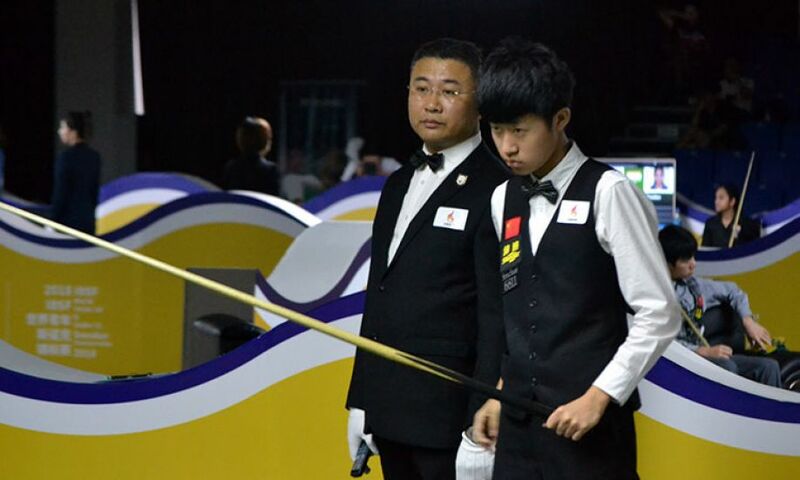 Wu Yize was down against S. Shrikrishna of India where he re-established himself by crafting a 76 points break in fourth frame to level the match. Shrikrishna had taken a lead in fifth frame but on a simple pot, he hit extra hard and allowed an open chance to Wu Yize, which he taken as compliment. After that Wu Yize did not give many chances and confirmed his 5-2 victory. Similarly in another match, another Indian boy Digvijay Kadian, in sixth frame was sure to make it 3-all because of the lead he obtained, but his attempt on green in centre pocket was too hard that resulted in green bumped out hitting the inner jaw. This miss allowed Zhao Jianbo to enhance the lead to 4-2 and in next frame, Zhao hit break of 137 to enter into the semi-final round. Chang Bingyu knocked out Cheung Ka Wai of Hong Kong 5-3 to confirm his semi-final berth. Chang made four breaks of 72, 92, 90 and 96 points out of eight frames he played. The Thai boy Pongsakorn Chongjairak shown his consistency throughout the match and defeated Irish boy Ross Bulman 5-1. Ross found himself struggling during the match and missed at many crucial stages. Whereas Pongsakorn used all the opportunities he got and succeeded.